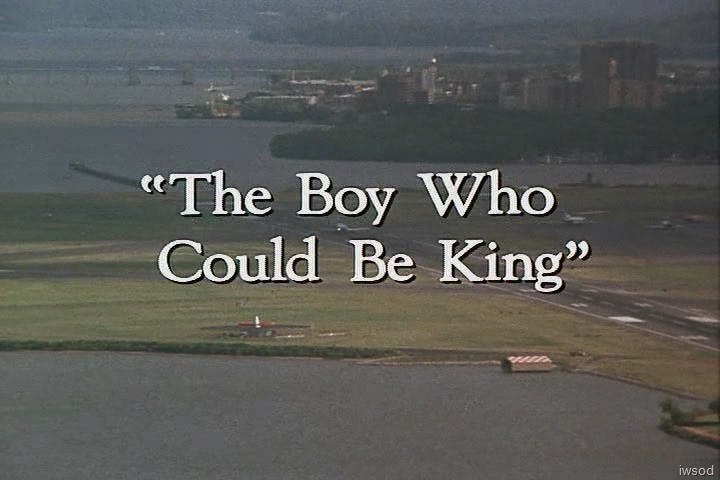 1/15 Season Three, Episode 19: The Boy Who Could Be King–Scarecrow and Mrs King | "Just walk with me.."
The episode title is over an airport background.. 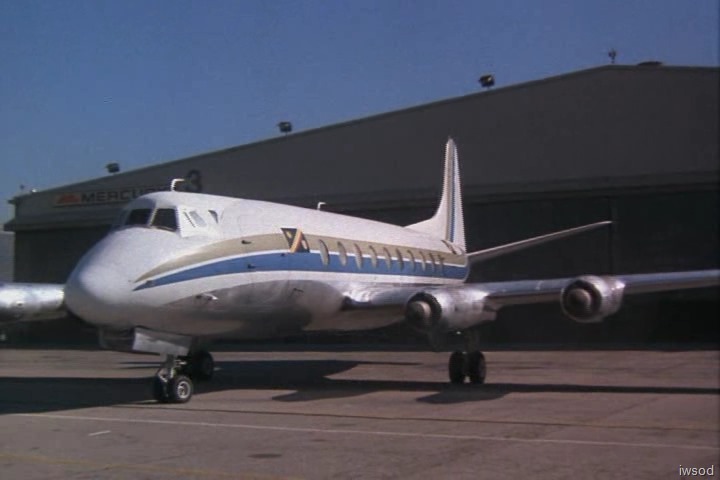 Welcome to SMK airport.. thanks for flying with SMK airlines.. (Just fly with me!) … fasten your seat belts! At the airport we see a private plane arrive.. Hey.. is that a learjet Learjet?! we then see a random garbage truck. Aaaaaand a man with a rifle nearby. oh lol.. surely nothing is going to happen to that rifle guy being so surrounded by containers with a garbage truck nearby?! Rifle guy attaches a site to his rifle.. and we see some stairs pop out of that jet. This is no ordinary learjet.. it has a flag on it! 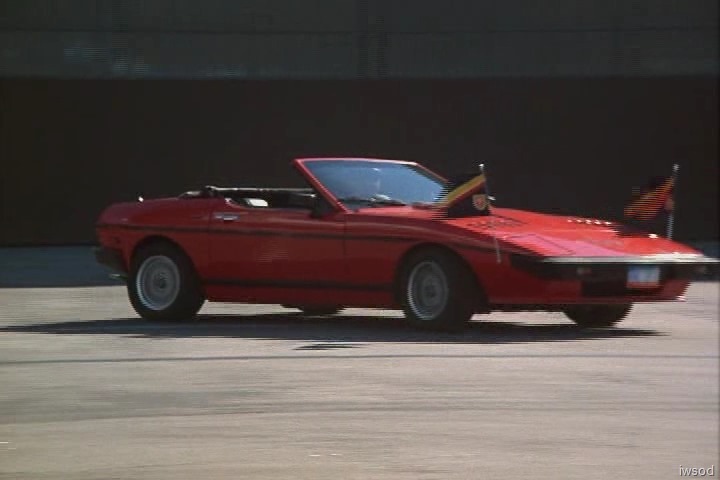 A red convertible pulls up with some flags on it.. that same black flag with the yellow and red stripe..
Is it a corvette? don’t ask me I’m hopeless with cars! Lets all just assume this is a little red corvette in his honour! The little red corvette comes to a stop next to the jet. The rifle guy is ready to shoot. 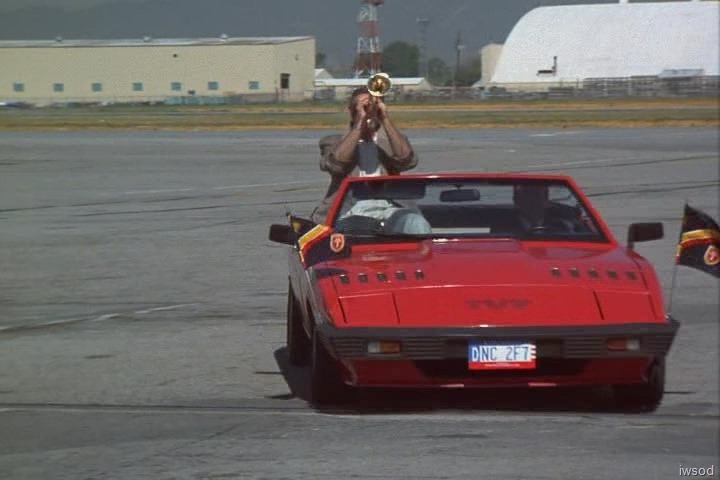 Out of the plane comes a guy carrying his trumpet. Yes. Trumpet. This is going to be fun woot woot! 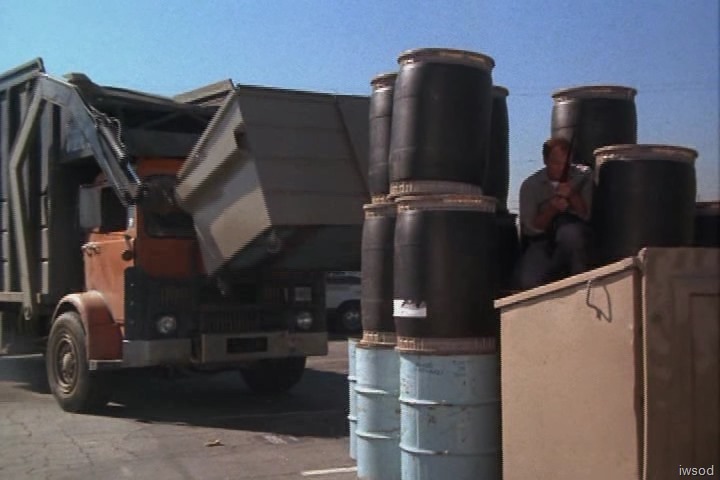 As we all guessed.. that garbage truck knocks over those barrels before rifle guy can shoot trumpet man.. and sends him head first into a dumpster. lol. Crowley (the driver): Welcome, your Majesty. The car drives along.. whooo diplomatic plates huh.. I love how Trumpet King is able to play the trumpet without puffing up his cheeks! For some unknown reason, Crowley stops right next to the dumpster. 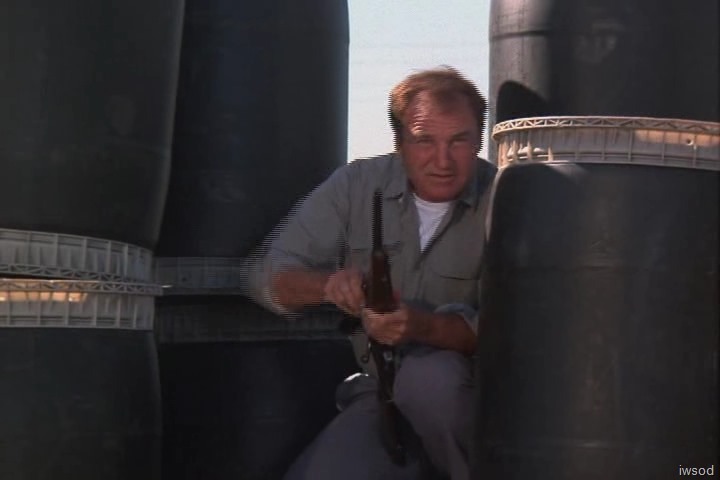 Guess this means he is a bad guy, and knows there is suppose to be a rifle guy there no? Otherwise, why would he stop? I guess it could be an smk coincidence.. you know.. one of those coincidences that should mean something but doesn’t?! …What’s the matter, Crowley. Don’t stop. Come on, let’s get going! LOL this little red corvette loves to reflect the lighting and the crew.. it’s a tad distracting! Reluctantly it seems, Crowley moves on as ordered.. 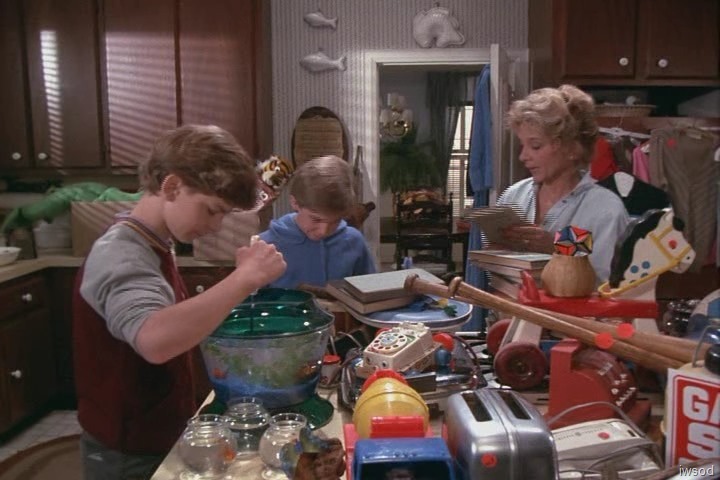 Anyway, we’ll move on too- straight to Suburbia..
Jamie: Mom wouldn’t like you sticking price tags on the goldfish. Philip: I’m not sticking price tags on the goldfish, Einstein. I’m just putting them in a separate bowl. Amanda: Fellas, it’s a garage sale. You don’t have to sell your pets. Jamie: I thought you were going, Mom? Amanda: Yeah, well, my ride didn’t pick me up and I called a cab but they never came, so I’ll call ‘em again. Philip: Look at all this stuff! We’re gonna be outta the poor-house in no time. Dotty: I would choose my words a little more carefully, darling. This is only a property tax increase, not pounding at the door by Simon Legree. 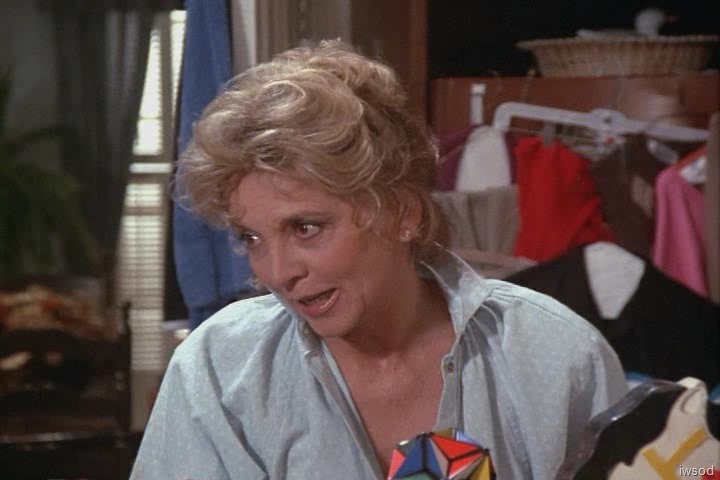 Amanda: Mother, did Jerry from the garage call? Dotty: Oh, yeah, he called right after you left. He went on and on about all those mechanical things. I don’t understand a word he said. Dotty: Three hundred and fifty. Jamie: There go the goldfish. [haaaa! hey.. notice the cardigan behind Amanda??!!! I recognise this one for once… Remember? …- Hello! Yes, this is Mrs King from 4247 Maplewood. I called for a cab about half an hour ago and it still isn’t here. Well, fifteen minutes ago would have been perfect but if you could send it now I would appreciate it. All right, I’m waiting. Thank you. Goodbye…. …All right fellas, you, ah, have a…. ….What have you got all over your hands? 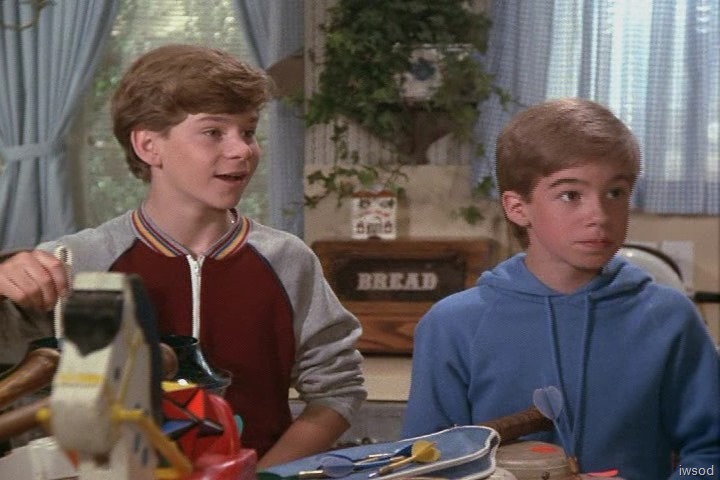 Philip: We put some stain on an old baseball bat. Jamie: We’re going to cash in on the antiques craze. [is that Jamie’s right hand with no plaster cast? Dotty: Don’t worry about them. I’ll read them their rights. Amanda leaves and calls out: Good idea. The scene ends there with a massive sigh from Dotty! All this stuff on the table is quite hypnotic. what’s the first prop you went looking for? I immediately looked for the football Sandy Newcombe gave Amanda the reporter! I didn’t see it though.. I guess Amanda would have to explain the inscription 😉 I bet KC would have a field day with all these props! Can’t wait to hear from you guys! Hi guys, after consulting with the mods I’ve unapproved the new commenter previous seen on this post [sorry comments in reply have vanished as a result].. If you’re a genuine smk fan Kat, and not spam- please do comment again and make yourself known more fully.. then we will happily approve you for commenting and look forward to having you join us! 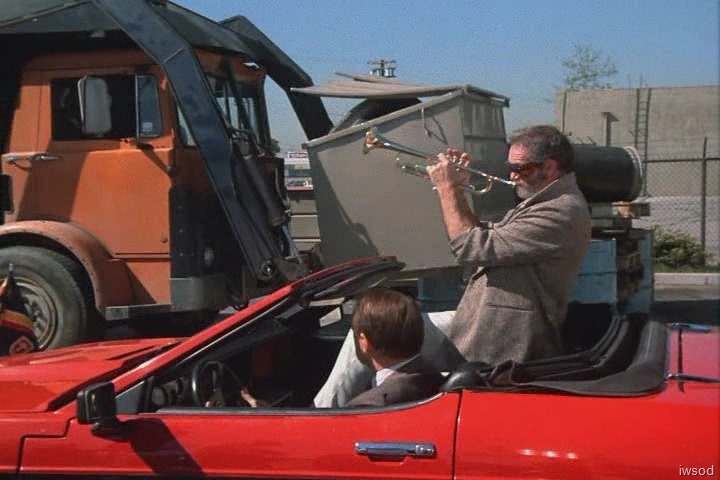 First off, I have to say that I love Trumpet Dude – anyone surprised? 😀 He is just so full of life and spontaneous and energetic and willing to just go with the flow and loves to have fun. He is the complete opposite of me – hahaha. I think that is why I love him – He is everything I will never be and never could be, but he is fun to watch and he is funny. I wonder if the actor made up his accent and cadence with his words or if it is a combination of a few different accents? I did not look up the actor in real life. Oh, and he looks similarly to my brother-in-law who also speaks with an accent and is similar in nature to trumpet dude. But those glasses…back in the 80s they may have been cool, but now they look like the type of sunglasses geriatric patients wear over their regular glasses when they are out in the sun. And I know I’m late to the party, and I’m sure someone has mentioned it, but I’m pretty sure that is not a Corvette. I’ll guess it’s either an expensive Italian sports car or a cheap knock-off. I don’t recognize the flowers, but that sweater behind Amanda to her right looks familiar, and I’m glad to see it has a price tag on it. I’m pretty sure she’s worn that sweater before, I just can’t place the episode. She looks pretty in this outfit today. Oh, haaaa, I see, iwsod, that you did recognize the cardie! I spoke too soon! I must admit that it never occurred to me to look for props until you asked the question, iwsod. But I don’t recognize any. I only see a lot of really old kid toys – that rocking horse and play phone with the eyeballs and nose was probably in every suburban American house in the 70s and 80s. It looks like a big jumbled mess! So unlike Amanda. Maybe it’s the boys doing. I like trumpet dude too. If he is supposedly ill, he’s not letting it get him down. He’s living life to the fullest!! I am going to try to keep up with this episode, I hope. Looks like Amanda and the boys are moving out of “the mother of two little boys” stage. Time to let go of the baby toys. But the kids also must have gotten an earful of concern about finances and how tight things must be. And I wonder why we would have references to Kipling and Uncle Tom’s Cabin? Hmm? Looking at all of that stuff piled on top or her cook top makes me antsy. One of the reasons I am not around very much is because I am closing up my in laws house and culling through 62 years of “tchotchkes”. It gives me hives to see that pile. I’m so sorry I don’t have the time to respond to everyone as much as I wish I could! I’m loving hearing from you all!!!! So glad you are back Morley!!! Love the shout out to Prince and Little Red Corvette!! 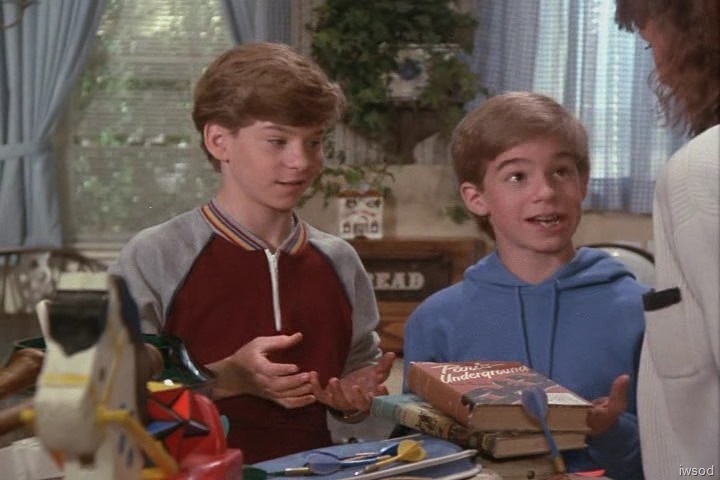 I’m surprised at the Simon Legree comment from Dotty, mostly because I wouldn’t think the boys would have been old enough to read Uncle Tom’s Cabin. That would have been a bit much for them at that age. Also like the Fisher Price toys. That phone kills me. Maybe that should be the new baddie phone. lol… It IS a baddie phone, if you’ve ever been hit by one. In my case, the “baddie” was an energetic one-year old (my babysitter’s daughter) who knocked it in my direction. Wrong place at the wrong time. I never had one of those Fisher Price phones, but just about everyone I knew did. 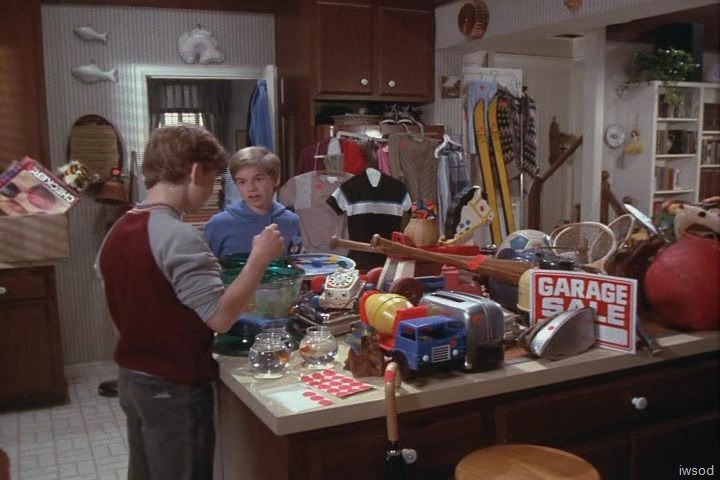 Looking at the table, it seems to be mostly kids toys, and quite young kids (and yes, I loved that Fisher Price phone). Its rare for toddler toys to last quite so long (or in such good condition). I think Amanda must be as sentimental as her mother but perhaps she is changing and letting go? (I’m not good as seeing sub text so this is probably stretching it). I did notice a good few clothes hanging on rails on the kitchen presses. Now there are many outfits of Amanda’s I would like to see on those rails!!! And perhaps a certain ear ring collection as well. 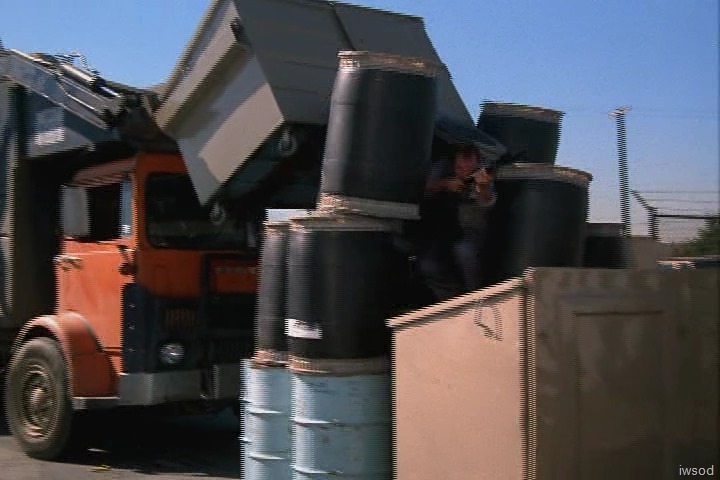 If you all don’t mind my very random thoughts here… I’ve just noticed that both Triumvirate and this episode start out with some unsuspecting bad guy getting wiped out by a bunch of barrels. 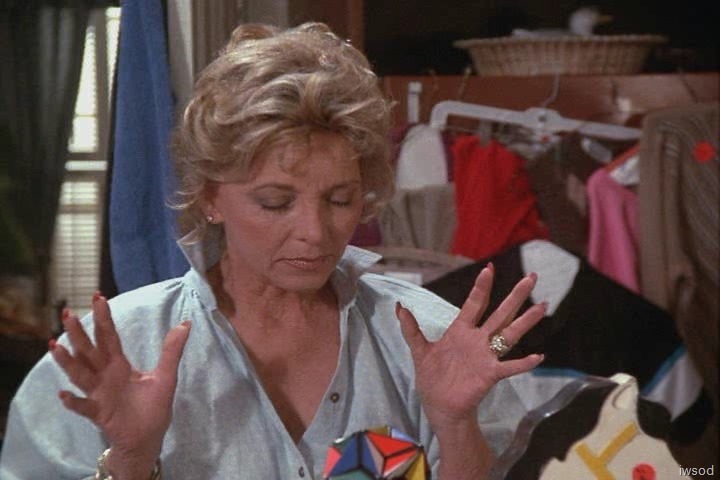 Both episodes also involve Amanda sifting through pieces from her past. Yes you’ve got to watch those barrels on smk.. seems their lethality has increased dramatically! Both episodes also involve Amanda sifting through pieces from her past. that is an interesting idea! I immediately looked for the football Sandy Newcombe gave Amanda the reporter! Ohh, Iwsod, I don’t think Amanda would ever give away any of the souvenirs Lee gave to her. I always imagined her putting them into a special box (nooo, not a Tupperware box…) and hiding it somewhere deep in the back of her closet. Well that is except the Panda of course ’cause that guy was really huge (and gorgeous). Not much to add except that Amanda has a LOT of tchotchkes she could sell at the garage sale. I had to look it up! I think I’ve heard the word.. but never seen it spelt! lol.. I think I heard it on The Nanny?! Sell me … your watch, please . . .
Actually I never saw or heard that word before and had to look it up, too. In German we’d call it either Nippes or Tinnef or simply Staubfänger (dust catcher) ’cause those stuff does just that – catching dust. I’ve always been confused about the rules myself and who has time to read instructions? Oh my goodness.. I was doing and thinking the exact same thing! So glad I am not alone! Cheers! Kiwismh, you are talking about backgammon right? and not umm backgammon??!!!! That’s what I like about this blog, it’s educational. I had never heard of or seen the word tchotchkes (I thought your fingers were on the wrong keys 😉) so I looked it up. Just think of what must be upstairs in Dotty’s room. After all, she had a hula skirt that she kept for decades — long enough for it to rot and fall apart. Then, there was the stuffed buffalo head that she let Amanda take to the “rummage sale.” She’s got to have some other interesting stuff hidden away in her room. I was going to write a fanfic about that at some point . . .
Wasn’t that stuff at the attic? That’s what I like about this blog, it’s educational. 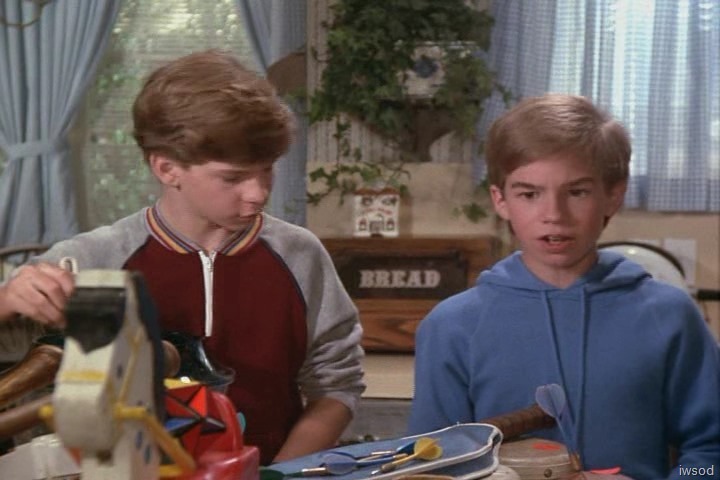 The word “tchotchkes” makes me think of Office Space and those “pieces of flair”…. Although the name of the restaurant in Office Space is spelled Chotchkie’s. I remember hearing that word in The Nanny – I guess Yiddish? I’m always amazed given her constrained financial circumstances of the past few years that Amanda has so much stuff in her house such as ornaments and decor items. Having said that, I have been doing a clean out of storage boxes in my house recently and have taken quite a few boxes of stuff to the SPCA Op Shop – most of it unwanted birthday and christmas gifts from well meaning but misguided friends and family. Most of it never even taken out of the box! Amanda clearly feels the need to display, even the stuff she doesn’t like. (That would be very Amanda, so she doesn’t hurt the gift-giver’s feelings). Maybe some of it was Joe’s stuff too? Looking deeper into this, may be it is a metaphor for Amanda having a clear out of all the unwanted stuff inside here as well. Leaving behind the guilt of the failed marriage, and those feelings of failure or unworthiness that might have limited her while she was married to, and in the aftermath of, her break-up from Joe. 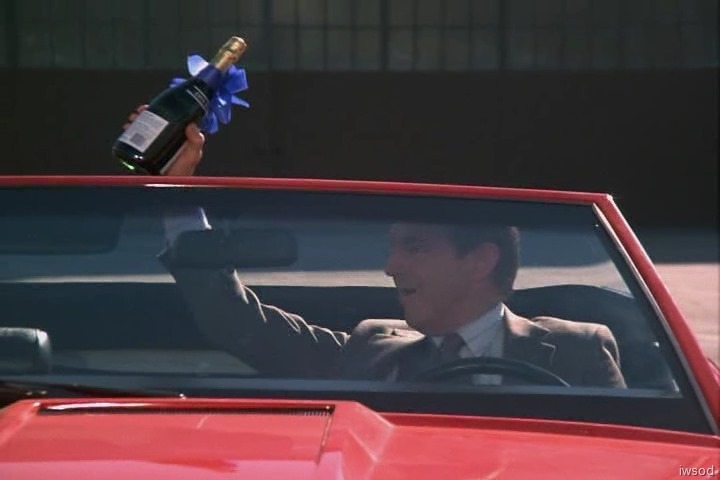 A good time to finally clear the decks of all that unwanted baggage as the real Amanda finally blossoms and embraces new challenges, and new and healthier relationships (i’m not just thinking about her relationship with Lee, I think she also is getting better at other relatinoships such as being more assertive with her mother and managing Francine). 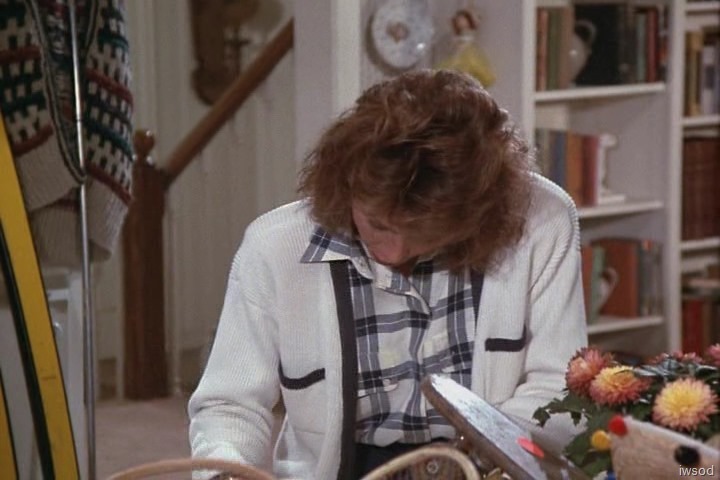 I was happy when she got rid of those farm-themed decorations that she had way back in the first episode, like the pig pictures that she had on the bookcase. I had a theory that some of the clutter was because Dotty probably had her own home or apartment somewhere before moving in with Amanda to help take care of the kids after Joe left. She probably brought a lot of stuff with her when she moved in (ex. stuffed buffalo head), and it took awhile before they sorted through things and decided what they really had room for and what they wanted and didn’t want to keep. with the clutter.. 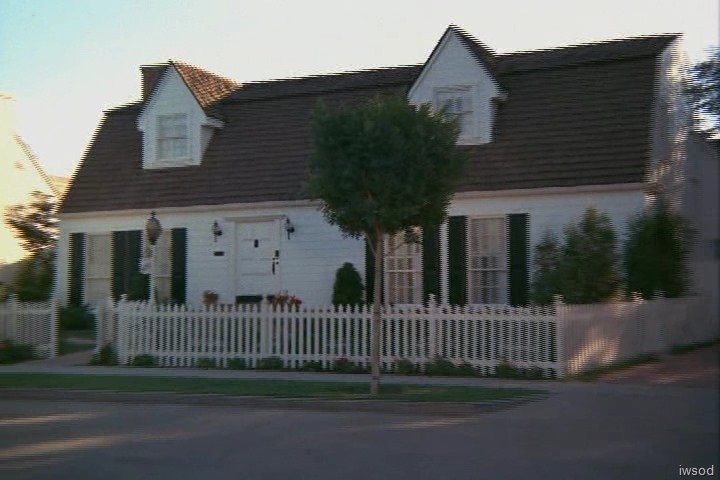 I figured the show was portraying them as a typical suburban home.. full of stuff.. and that the colonial décor was culturally typical of that time. was it OTT? I can see here that the show is highlighting that the boys are not little boys anymore.. they don’t need baby toys that’s for sure.. Which might pave the way for Amanda to go full time and get rid of that flippin guest pass!!! 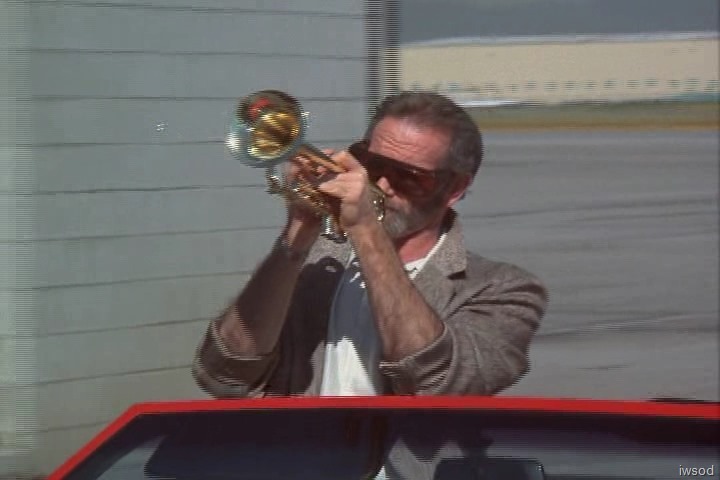 Looked through the actor’s (Michael Bell) web-page and other material (ie wikipedia 😉 ) and I can find no mention of his playing the trumpet (or indeed any musical instrument). Maybe he got some tips from another wind player in the show…? 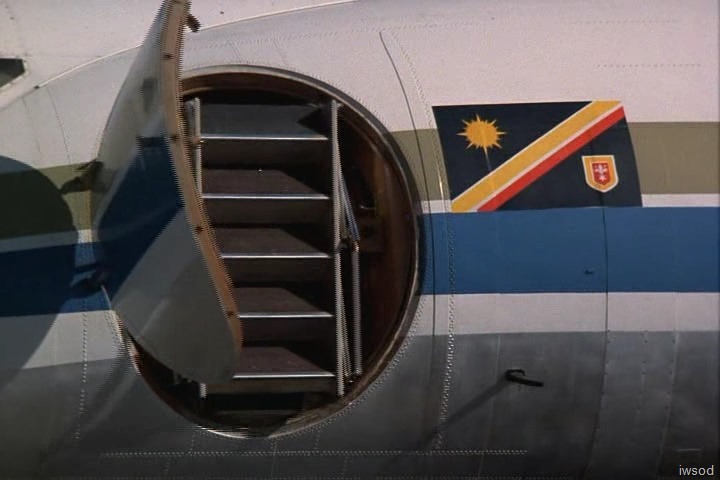 Interestingly, I see Michael Bell played KJ’s ex in Charlie’s Angels so there is another connection. Babel the case who would be King? rofl!!! and Babar.. the elephant who would be king?! this title is a bit of a puzzle.. I look forward to digging into it with you all! Hey this is what I was thinking of..
not really puffy cheeks..but definitely trumpet face lol..
but I’ll be curious to see what the musicians in the audience (me? no!) make of the music in this episode when we get to music-y bits! Do you know who Dizzy Gillespie is? He is a world renown trumpeter and he played with huge puffy cheeks (at times anyways). I’m not a musician at all, but I do remember that about him. A pretty inept assassin who didn’t hear the big ol’ garbage truck coming up right behind him. Maybe he was super-focussed on his job. 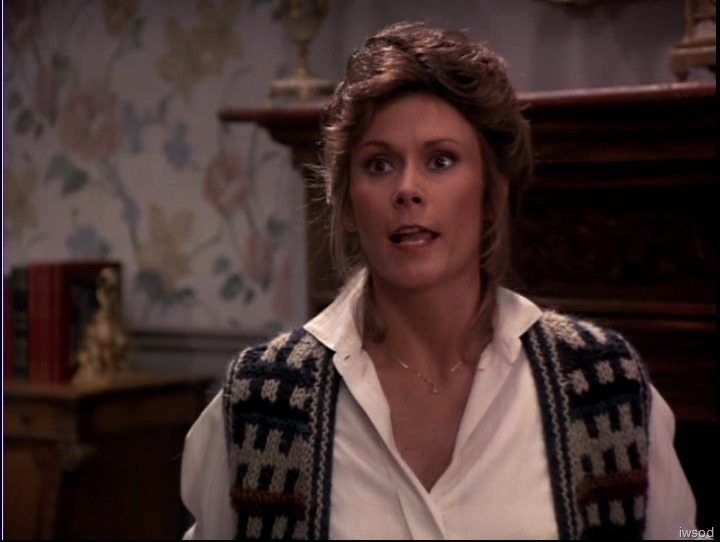 Let’s hope that heinous knitted vest is going out in the garage sale, along with all those oversized fluffy cardies and the parachute skirts. Awh.. good on you kiwismh! rofl. good thinking.. the perfect excuse for Amanda to clear out her wardrobe (especially green tops.. they do nothing for her 😉 ahem.) I guess this is the second ‘rummage’ sale Amanda has had in the show.. tee hee..
See the toy telephone next to the fish tank? I had one of those! 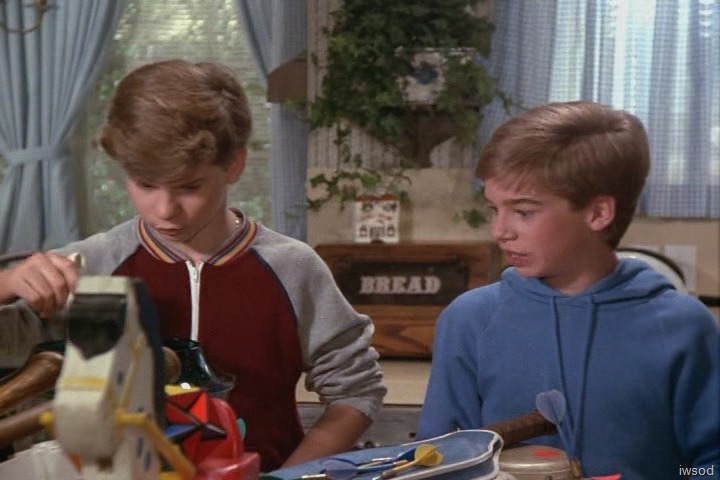 😀 I always get a kick out of seeing toys I used to have in old tv shows. Oh yeah! I see the toy telephone! is that one of those fisher and price ones? And William Schallert also played the father on the Patty Duke Show in the ’60s and Patty Duke also just passed away the end of March (definitely “sadly” this time, Janet). I just thought of something else. 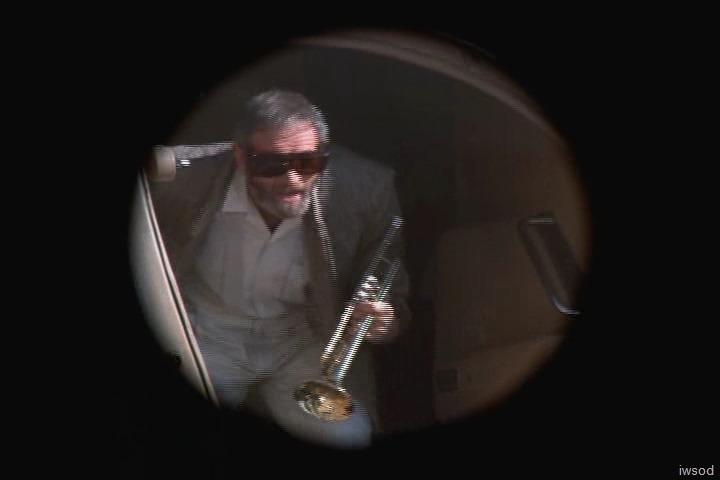 I think “Crowley” was the name of the old man in the first Nancy Drew mystery whose will was missing, and they had to find it to prove who really inherited his estate. According to this one, marked NC, our trumpet playing King is from Paraguay – and yet somehow, I doubt that, don’t you?